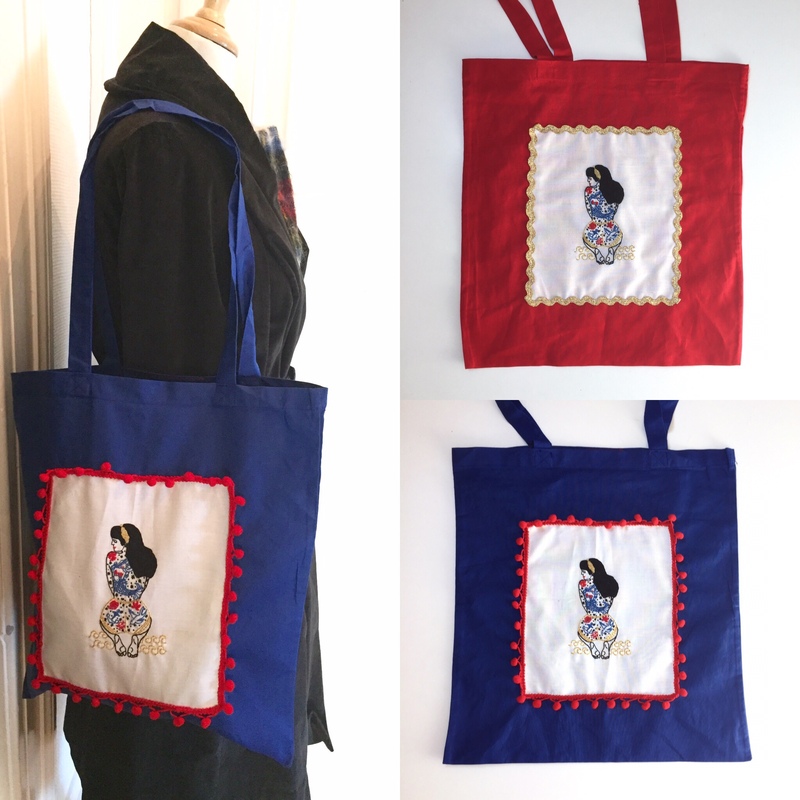 NEW TOTE BAG EMBROIDERY KIT IN MY ETSY SHOP! 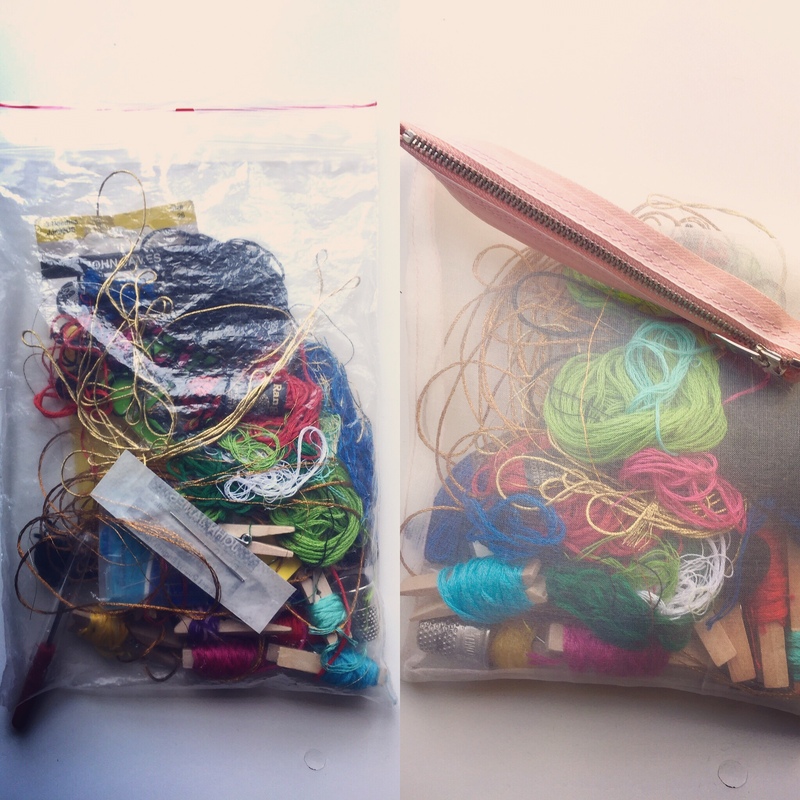 WHAT DO YOU USE TO CARRY YOUR EMBROIDERY PARAPHERNALIA? NEW KIND OF KIT IN MY ETSY SHOP: TOTE BAGS! 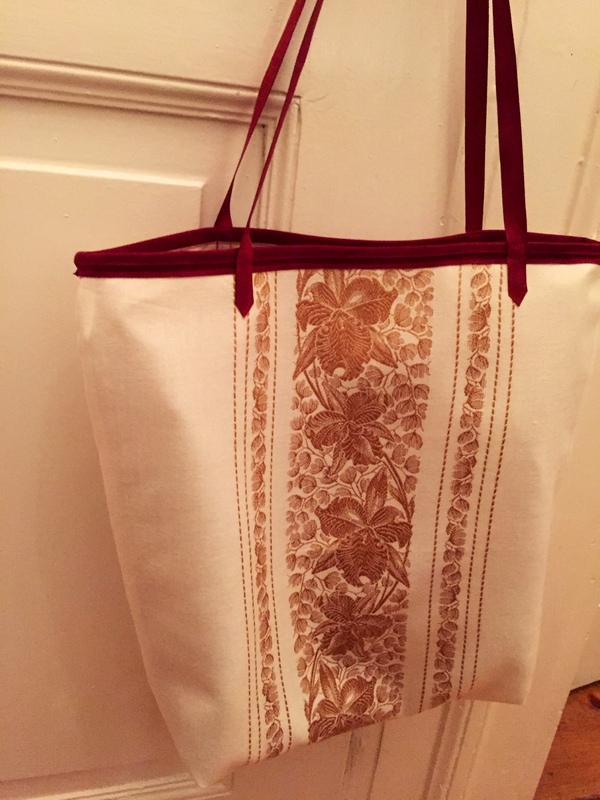 My first #ToteBag #embroiderykit. Love how it looks, beautiful but uncommun at the same time. Plus EVERYBODY CAN MAKE IT! 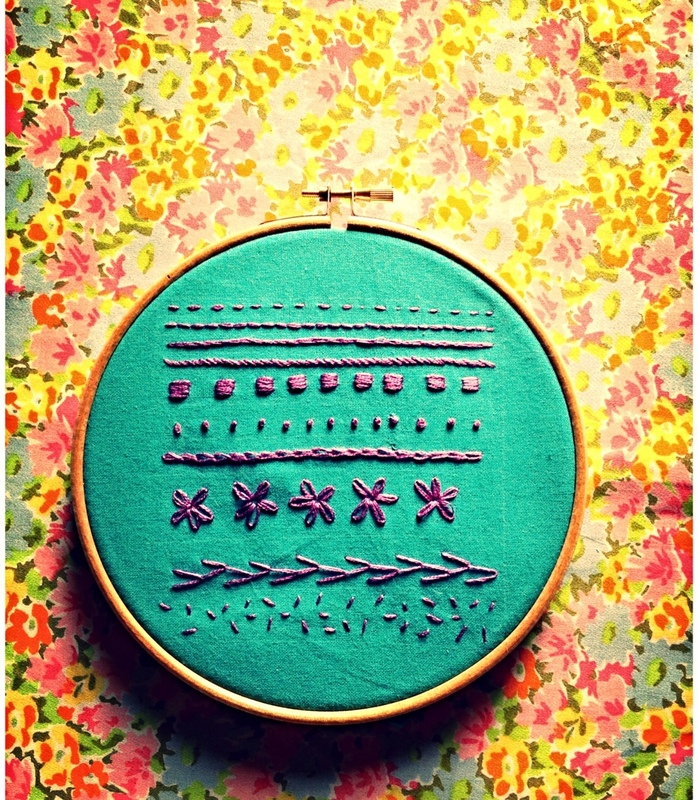 I am really excited to announce that I just put my first PDF DOWNLOADABLE SEWING TUTORIAL on Etsy. 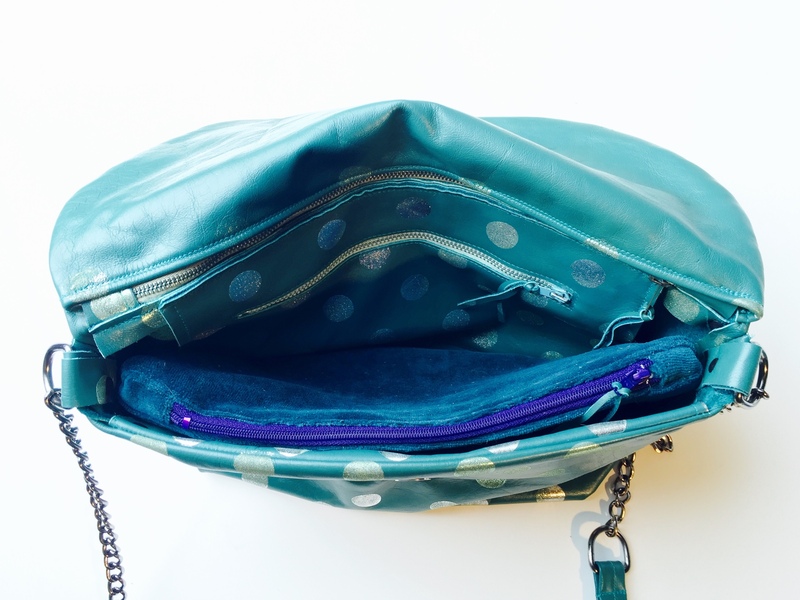 It is for my very favorite kind of zippered purse, the ones that are ALWAYS with me while on the road. I just love these purses and made a few for myself or for friends. 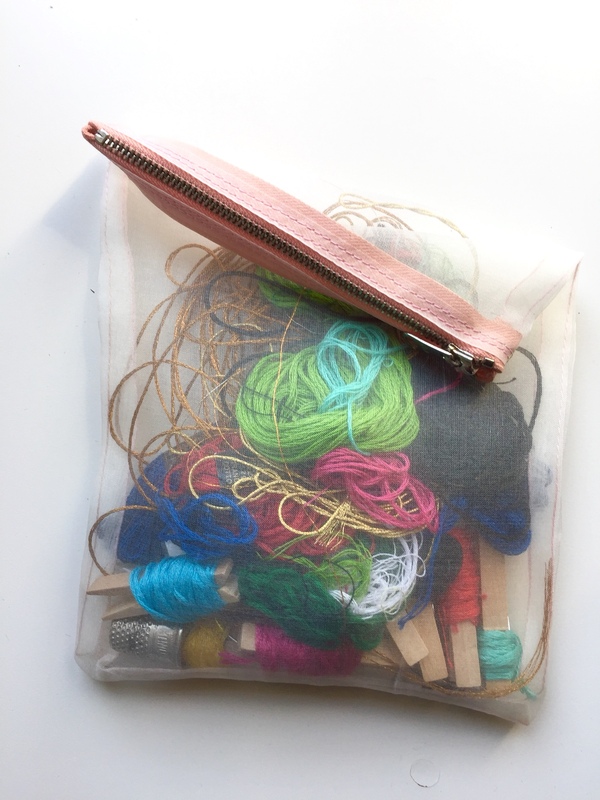 These are so versatile and convenient to tidy your crafty materials, make up, papers, pencils….. This tutorial took me a while to achieve, because it means, making a purse step by step, while taking a massive amount of pictures at each step and also trying to write down the explanations as clearly as possible. I made my very best and hope you ll enjoy it. 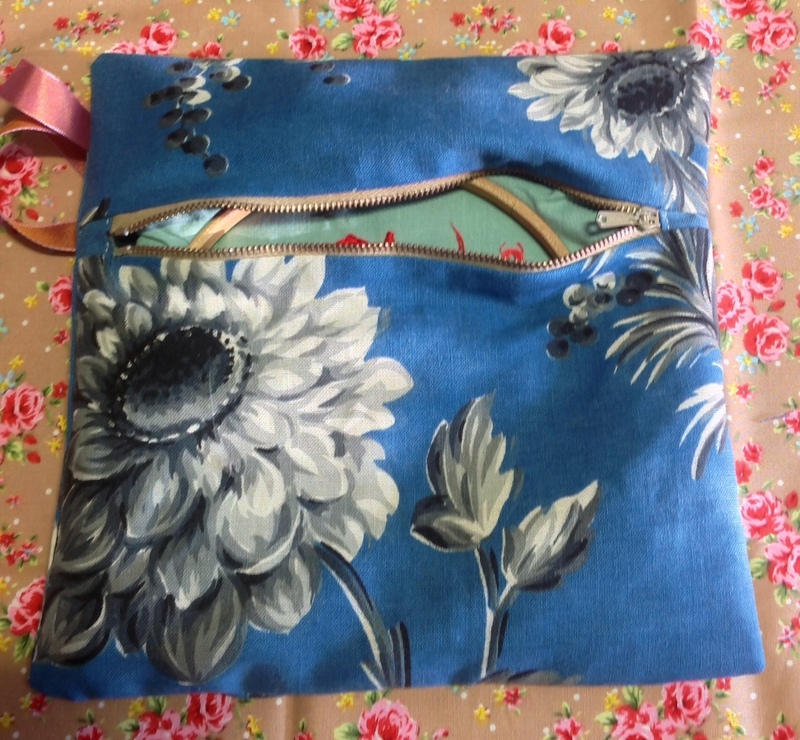 It is of course suitable for the very beginners, even the ones scared by the thought of sewing a zipper in place! 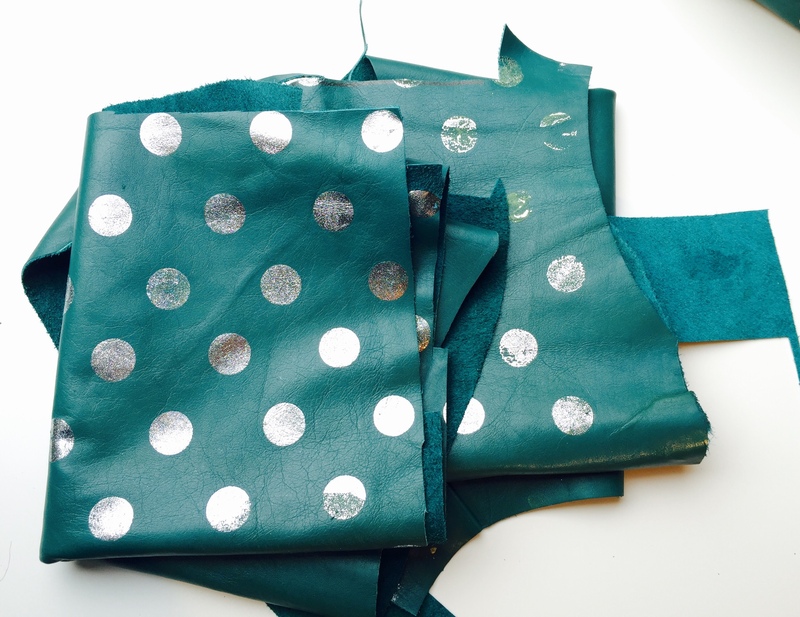 SEWING WITH LEATHER! 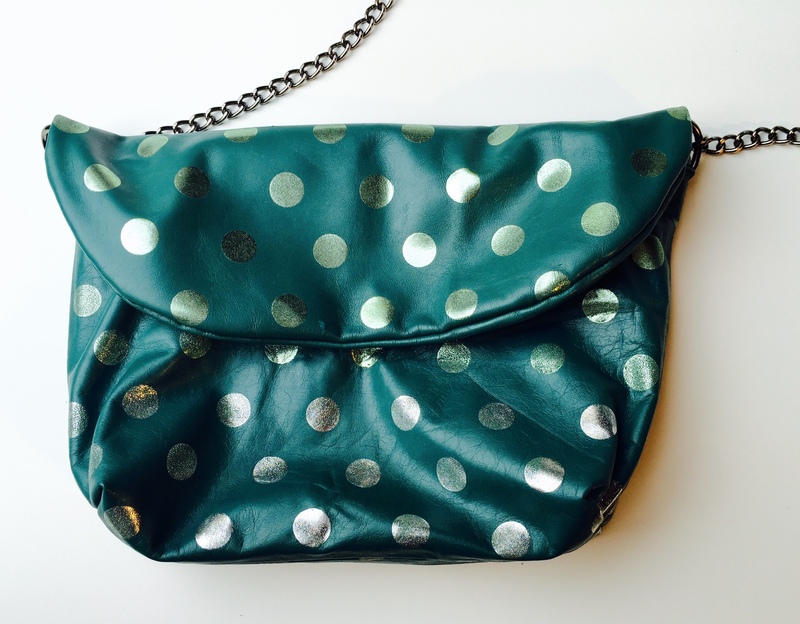 From a pile of leftovers to a handbag. Last summer while having my stall as usual at the Brunswick Festival in Hove, I was selling a Vintage dress to a lovely woman who just found the perfect one to match a piece of leather she just bought minutes ago…..
That was such an amazing quality of lambskin and I immediatly fell in love with the colour and the cute silver dots. I was lucky enough to be told that there were a pile of these left, for sale , just 2 stalls away from mine, at the stall of my lovely neighbour Jo. I bought all that was left, not knowing for sure what I was gonna do with these. Jo told me she silk printed them herself but couldn t find the time to use them. 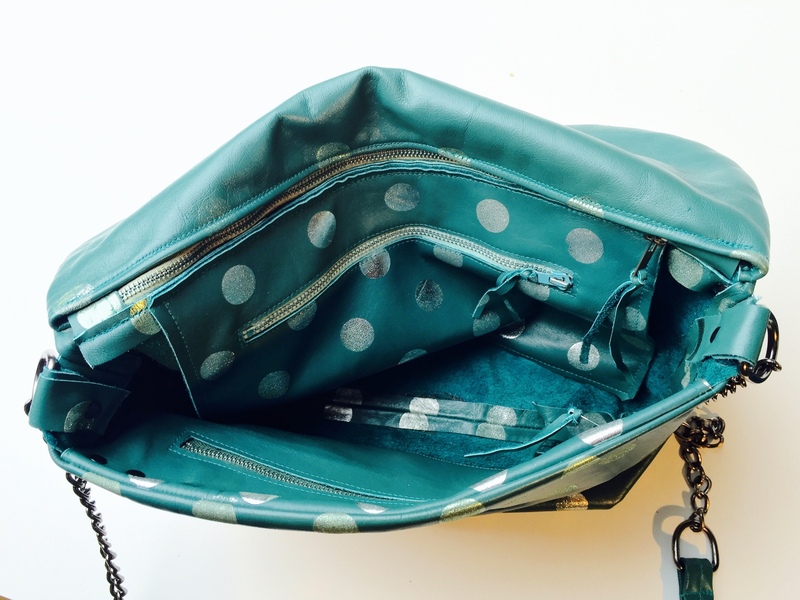 I decided to give a go and try to make the perfect sized handbag, with a lot of zippered pockets and a removable padded pouch for my Ipad mini. Getting a bit of inspiration and measurements from a friend' s bag I pulled out the rotative cutter and looked for the vintage zippers I had in my stash. It was also the first time I used the very handy hand press machine, so much more efficient than the hammer method. Making a bag needs a lot of thinking and for me it was a first to do such a sophisticated one, so I made a bit of mistakes, but the result is ok. And I ve got all the pockets and places to tidy my survival kit while travelling. 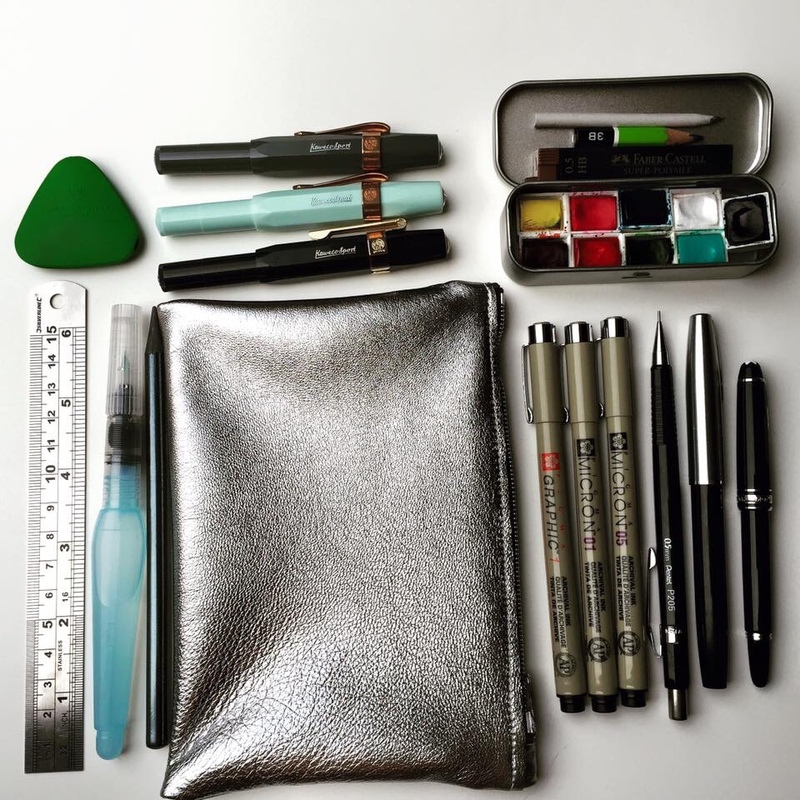 And, cherry on the cake, I ve got enough leather left to make one or 2 zipper pouch like the one I use for my drawing tools. 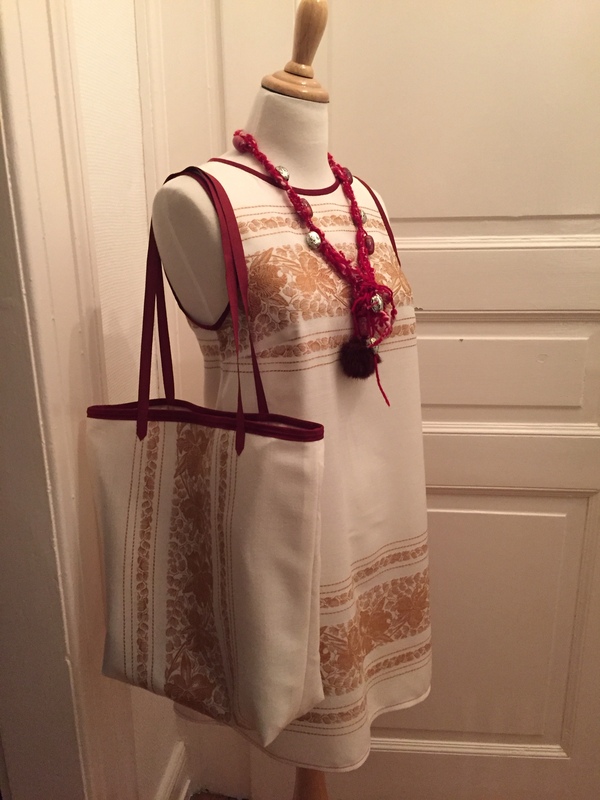 Next step might be to sew a black quilted lambskin handbag, Chanel style!…..
Pour cette fin d’ année, je vous propose des bons pour des ateliers couture, à Strasbourg, à offrir ou à utiliser vous même. Venez les mains dans les poches et repartez avec un joli objet ou accessoire fait main par vos soins! 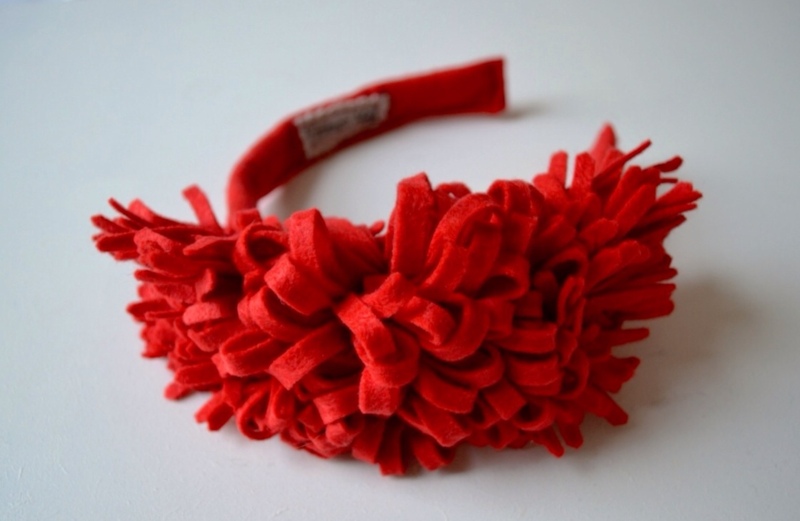 BON POUR UN ATELIER BIBI- HEADBAND STYLE RETRO ( parfait pour les fêtes): 25€ durée environ une heure, fournitures comprises. 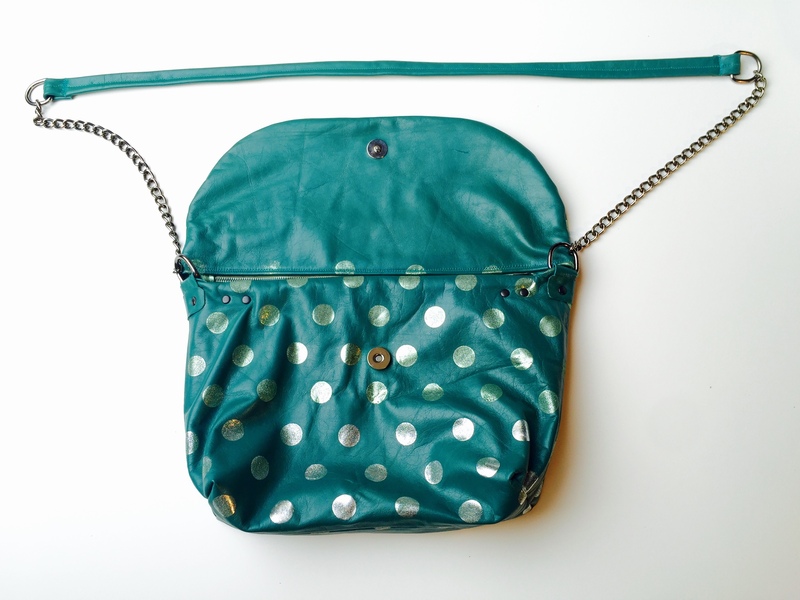 BON POUR UN ATELIER POCHETTE ZIPPEE ( très pratique et jolie): 30€ durée environ 2 heures, fournitures comprises. 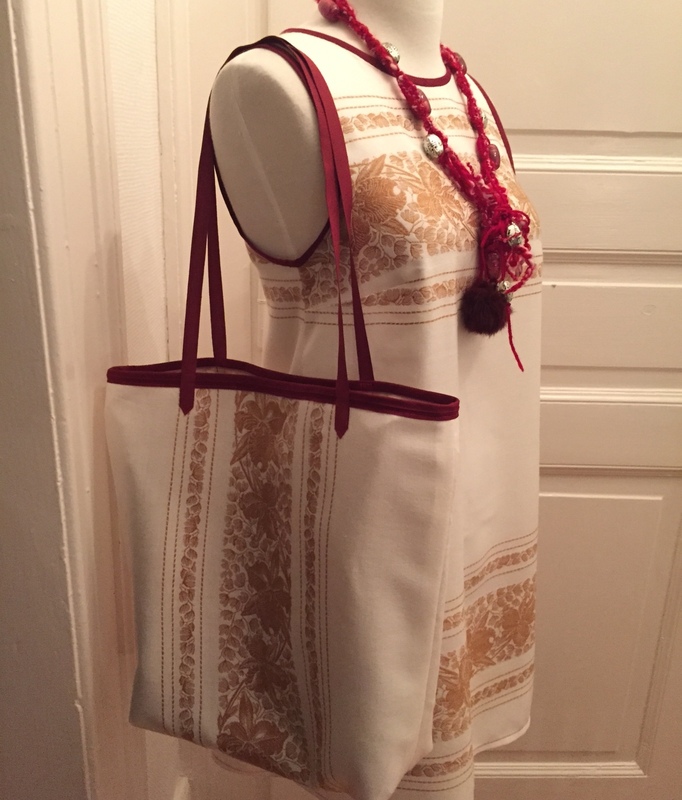 BON POUR UN SAC CABAS: 35€ durée environ 2 heures, fournitures comprises. 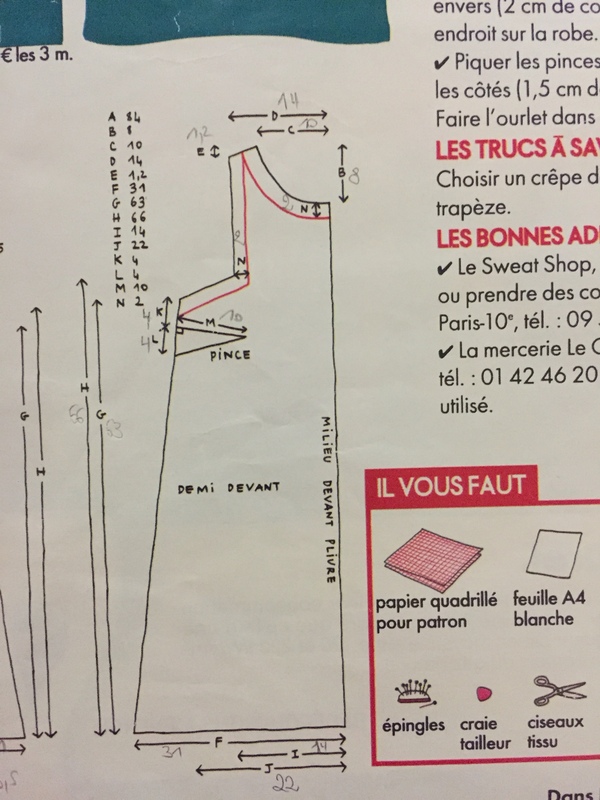 BON POUR UNE ROBE TRAPEZE: 60€ durée environ 3 heures, fournitures comprises. 40€ sans les fournitures. 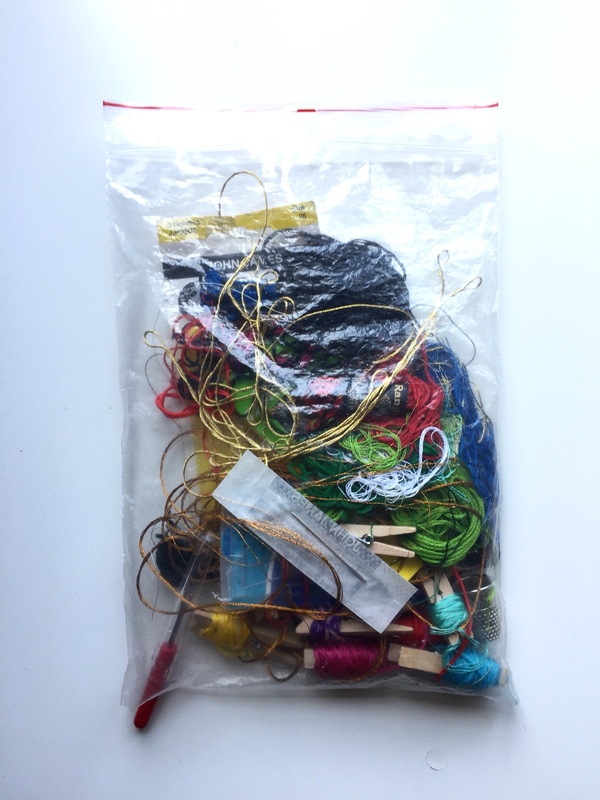 BON POUR UN ATELIER INITIATION A LA BRODERIE: 25€ durée environ une heure, fournitures comprises. 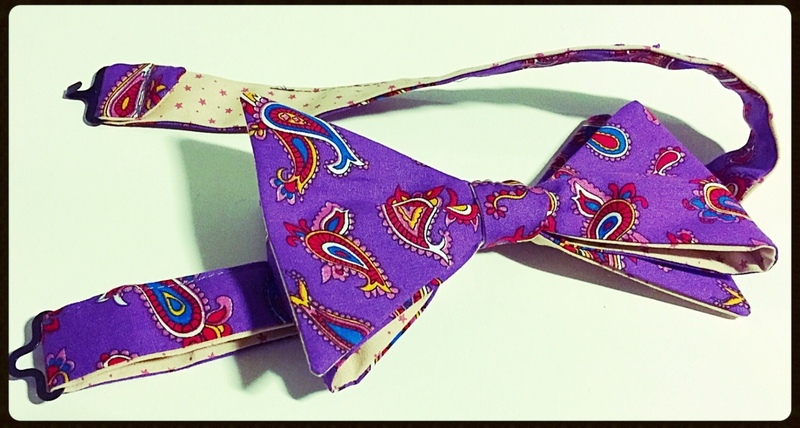 BON POUR UN ATELIER NOEUD PAPILLON POUR DANDY DÉCALLÉ: 35€ durée environ 2 heures, fourniture comprises. 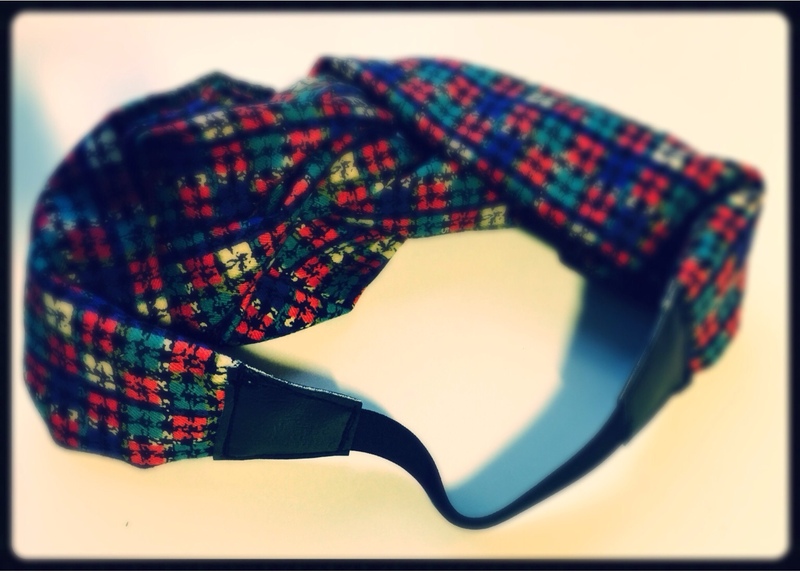 BON POUR UN ATELIER HEADBAND TURBAN FINITIONS COUTURE: 30€ durée environ 1heure 30, fournitures comprises. 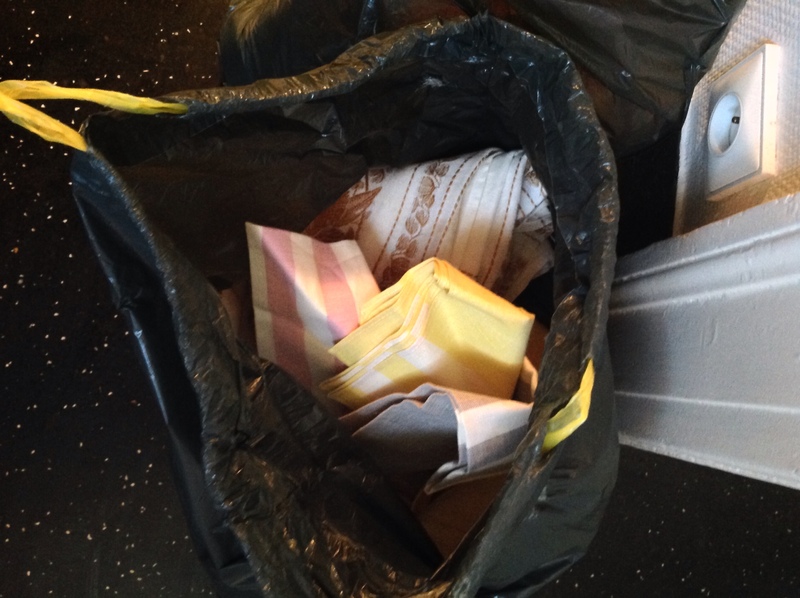 I ve been given 2 huge bin bags full of old tablecloth. 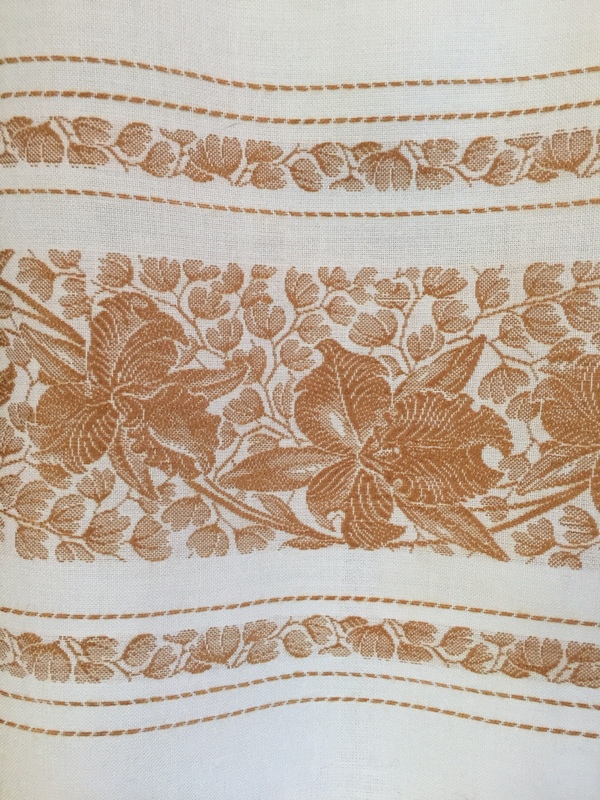 I usually accept all kinds of vintage fabric, linen, curtains, etc…..as I know some of them can become very interesting to upcycle. 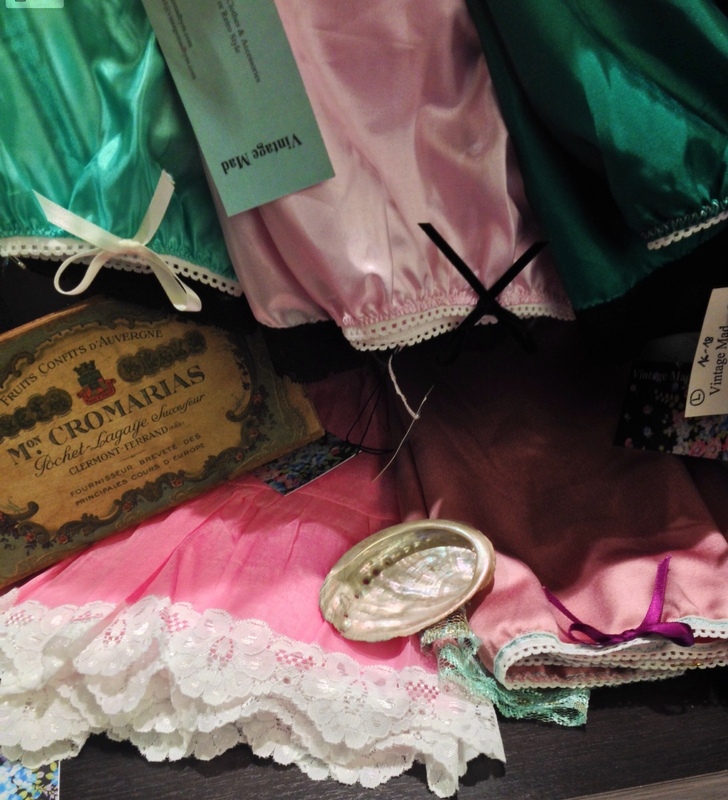 I ve made some of my favorite dresses from curtains. 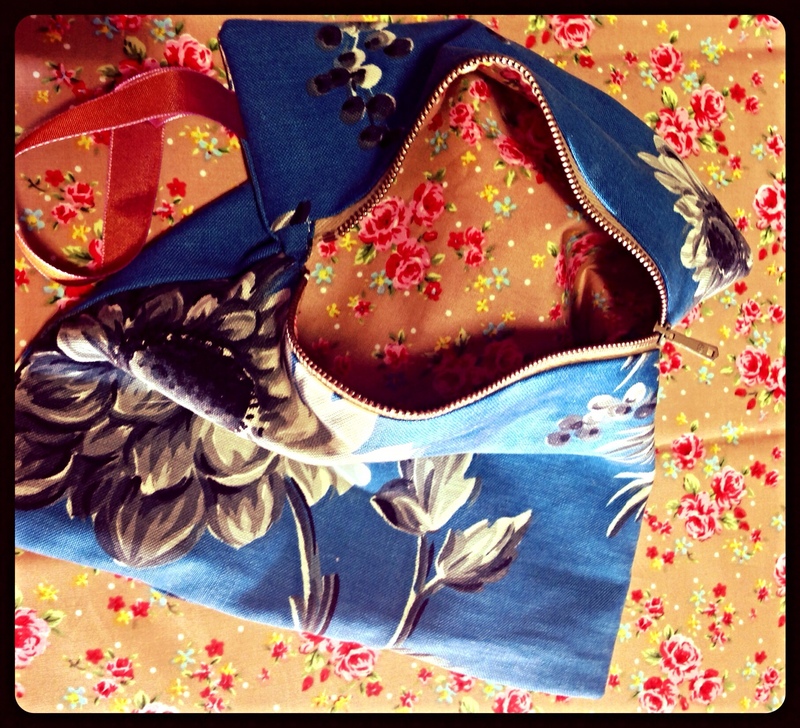 I also decided I wanted to sew A-line dresses for my stall next summer at the Brunswick Festival in Hove. They are easy to do, suit and fit most of the people and are timeless. I decided to give a go with these tablecloth, using an old ” pattern” I found 4 years ago in a tutorial from Elle magazine. 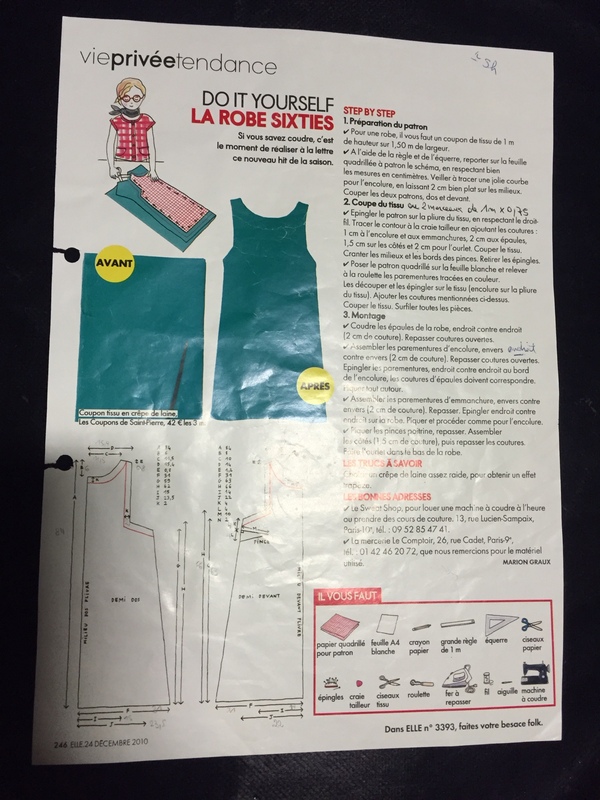 It s a very simple pattern, 2 pieces of fabric, front darts at the bust and no closure. 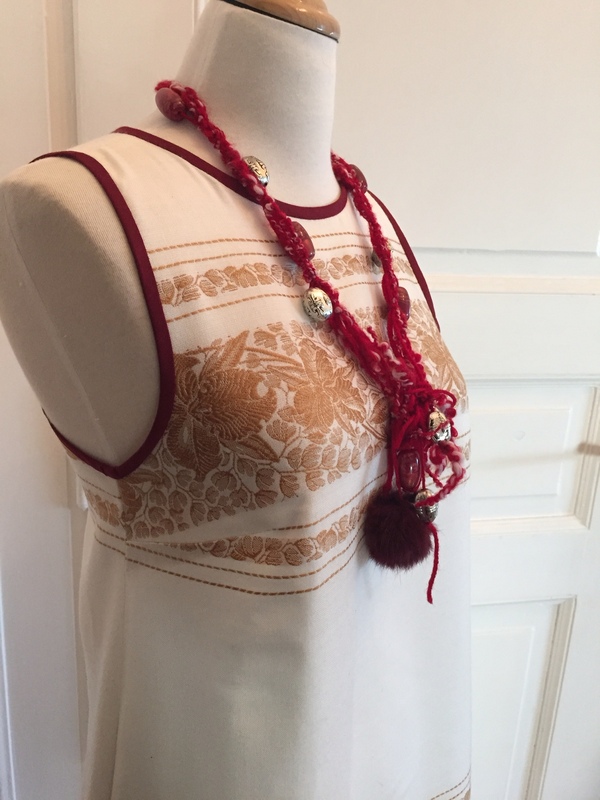 The pattern goes for facings around the neckline and armholes, but I decided to sew bias instead. I also rounded a bit the armholes. 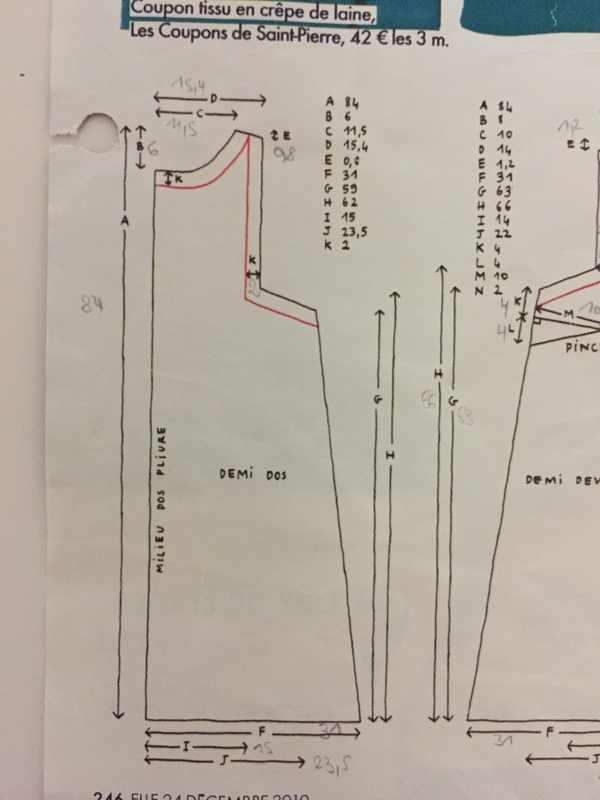 In case you are interested to give it a go, here are the patterns, the measurments are in centimeters and DO NOT include the 1.5cm seam allowances. For the first dress, I choose the fabric I liked less to check first if I liked this pattern. 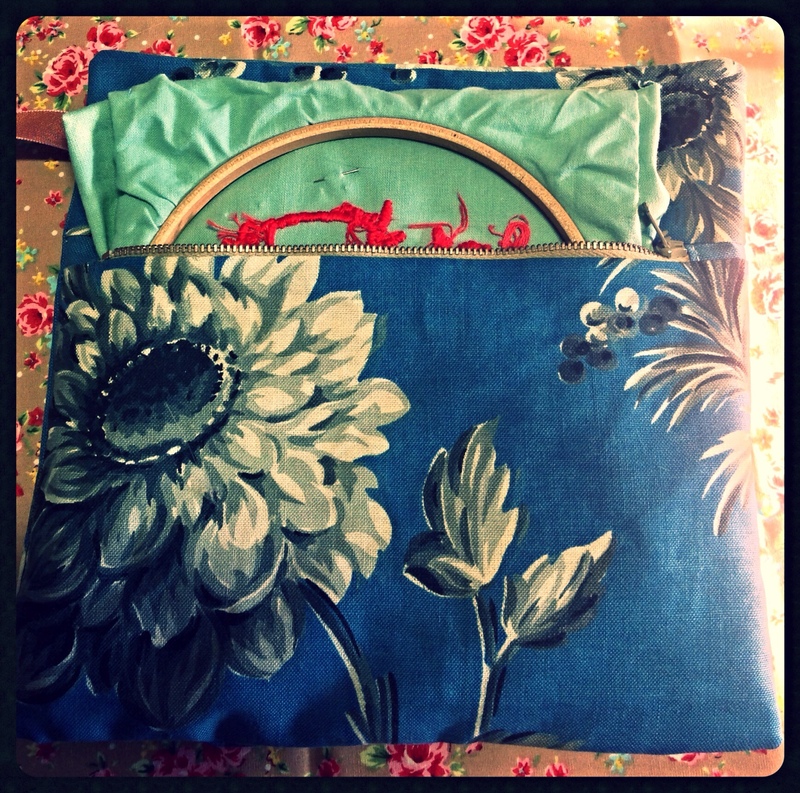 I must admitt I m quite happy with the result and even made a coordinating Tote Bag for fun! 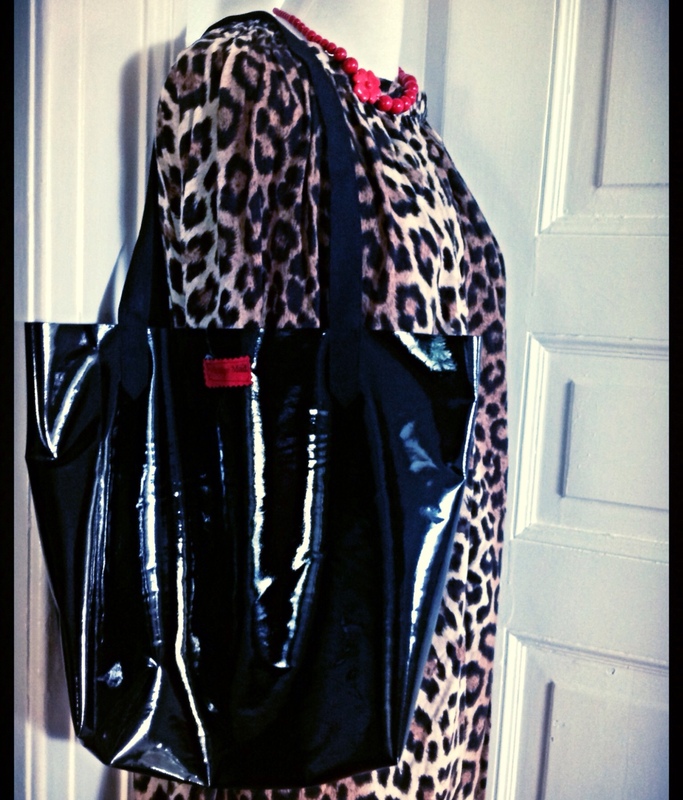 More A- line dresses to come soon!!!! 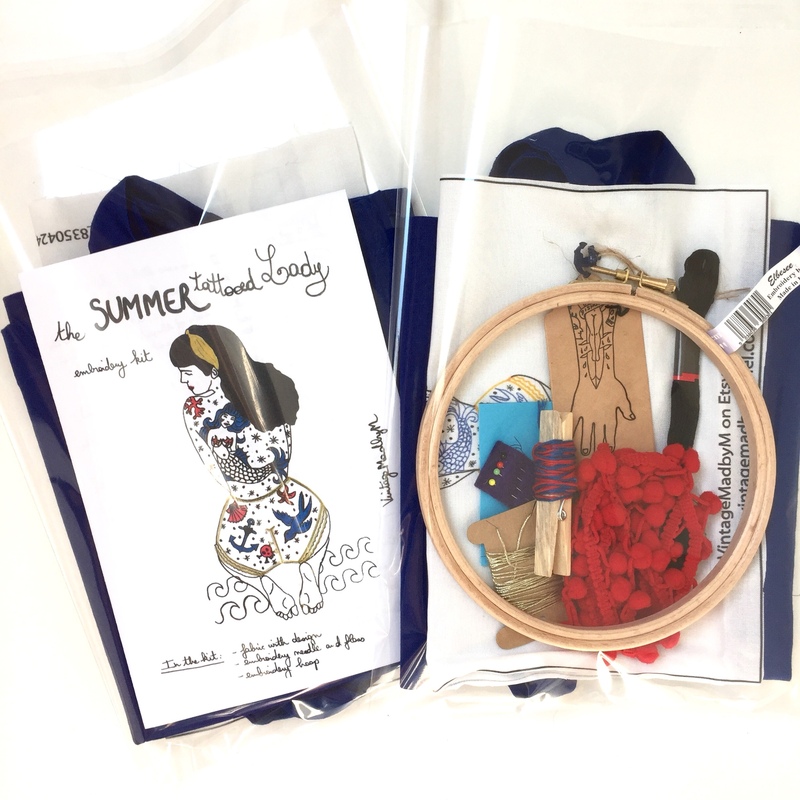 New Embroidery Kits plus Special Offer!